My daughter said you can buy lots of David things on EBAy. What she did was went to EBAY and did a search for Archuleta and found lots of things. Well I am so happy that they like to make fun of me because that makes them buy things of David for me. I think that is so cool. Have a great day everyone. 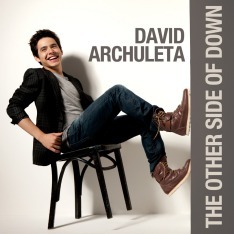 Well, This made me want to to go to ebay and search for David Archuleta items! Don’t worry about people making fun of you regarding your passion for David. I can relate to that and I know in my heart, that we will have the last laugh!